If the Supreme Court strikes down the individual mandate, must it throw out the entire health care law? Or is there a way to perform a salvage operation, rather than a wrecking operation, as Justice Ruth Bader Gisburg suggested at oral arguments? On Tuesday, I suggested that the Court could preserve the rest of the statute, including regulations prohibiting insurers from discriminating against the sick. Far fewer people would get insurance coverage and the government would have to spend more, per person, on subsidies. The whole system would be less stable. But overall the government would spend less, because it would be helping far fewer people, and lawmakers at the state (and maybe federal) level would have future opportunities for crafting mandate substitutes that fit constitutional standards. The result would be much worse than if the law goes into effect as planned, but, probably, a lot better than removing the insurance regulations altogether. But there may be another possibility, one that would send a signal about government overreach but might also allow the law to function, in a manner much closer to the way the architects intended. 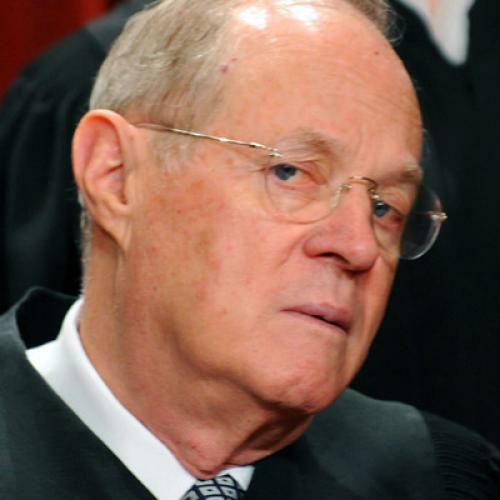 It would be an appealing solution if the likely swing votes, particularly Justice Anthony Kennedy, are determined to establish boundaries on federal power but are reluctant to disrupt a law that's already improving access to health care and will eventually help tens of millions of people. Joey Fishkin, an assistant professor of law at the University of Texas, proposed this option over the weekend. Writing at Balkinization,* Fishkin notes that the mandate to obtain insurance and the penalty for violating it are actually two separate sections in the Affordable Care Act. The mandate, known as the “minimum coverage requirement,” is Section 5000A(a). The penalty, known as the "shared responsibility payment," is Section 5000A(b). Like most liberals and many conservatives, as well as this writer, Fishkin thinks the mandate is clearly constitutional on multiple grounds. But if the Court determines that Congress has no power to impose the insurance requirement, Fishkin says, it can simply strike the requirement but leave the penalty in place. In other words, the law would no longer tell people to get insurance. Instead, it would merely tell people who don’t have insurance to pay a small fee to the government. On its own, Fishkin says, requiring such payment is a legitimate exercise of congressional taxing power. If you actually read the law, you’ll quickly spot a potential glitch in Fishkin’s argument. The penalty and the mandate are in different sections of the law. But the passage describing the penalty refers explicitly to the mandate. In other words, Section 5000A(b) cites Section 5000A(a), to make clear who must pay the fee. If the Court strikes down 5000A(a) on constitutional grounds, then wouldn’t Section 5000A(b) be nonsensical? Wouldn't it be like saying the fine for littering is $500, without defining what constitutes as "littering"? Assuming that one is otherwise persuaded by Fishkin's proposal (and I find it attractive), I don't think there's any problem with defining the penalty by reference to an invalid provision of law. In the U.S., unlike in some European constitutional systems, a definitive ruling that a law is unconstitutional does not result in the law being taken off the statute books. It remains there unless repealed. But even if it were repealed, so what? A federal law can refer to just about anything whatsoever in order to provide a definition or explanation. For example, federal statutes sometimes incorporate state law (of property, tort, family relations, and other matters) to define terms in the federal statute, even though the incorporated state laws are obviously not federal law, much less valid federal law. And there's no reason why Congress could not, in enacting a federal law, refer to a repealed or invalidated federal law--so long as the reference itself does not violate the Constitution: and here it is hard to see how it would. The real problem with Fishkin’s proposal, though, may be the question of whether the penalty constitutes a tax. Defenders of the law have said, all along, that it is. The critics have disagreed, as have most but not all judges to rule on the case so far. Severing the penalty from the mandate might be enough to win over a justice or two, but it also might not. In the end, the Court's ruling will come down to the justices' gut instincts. If at least five of them want to keep the Affordable Care Act in place, if only to respect the right of Congress to settle policy questions, they can cite a wide variety of sound legal rationales, rooted in both the original intent of the Constitution and decades of respected precedents. That's true even if the justice are determined, in the process, to define or reinforce limits on federal power. Another Balkinization post, from Marty Lederman of Georgetown Law, sketches out a few such possibilities. But do the justices want that? Or are they determined to junk health care reform? We’ll have to wait and see.